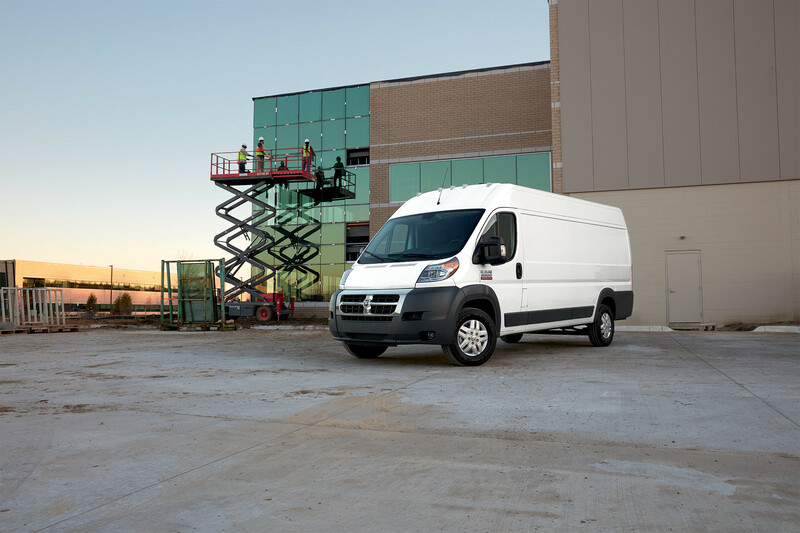 The ProMaster's windshield is tall and wide for outstanding vision, and the large fold-away mirrors offer excellent rearward vision. 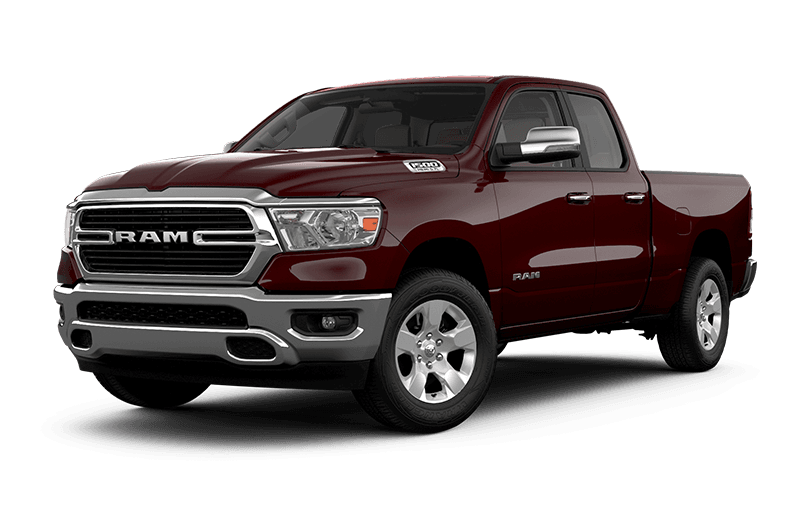 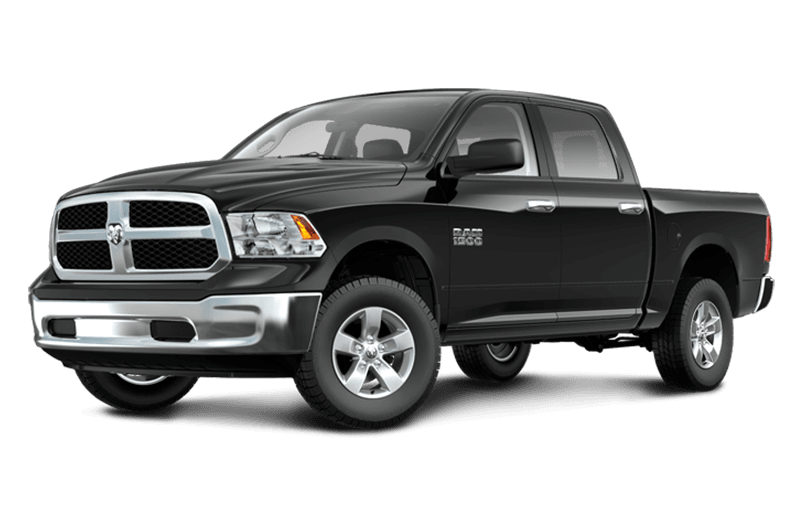 The recommended oil change interval of up to 16,000 km will keep your crew on the road longer and reduce vehicle down time. 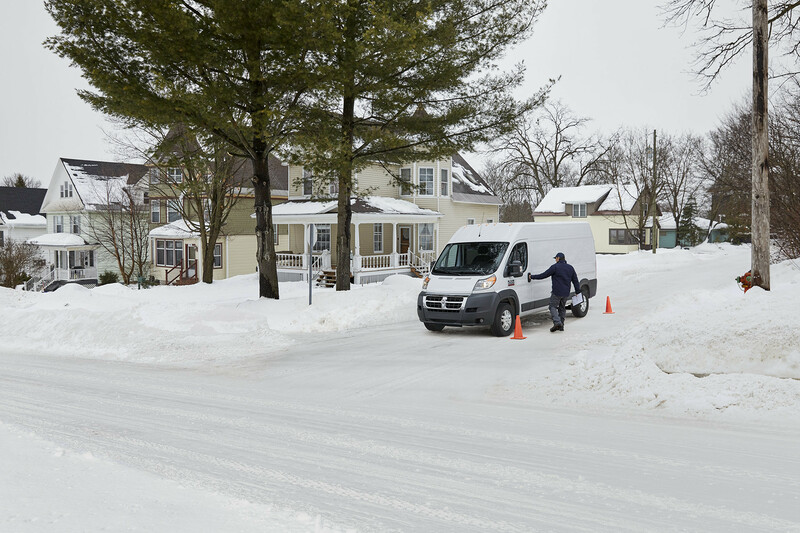 The ProMaster work van's front-wheel-drive configuration offers predictable handling and increased traction in slippery conditions. 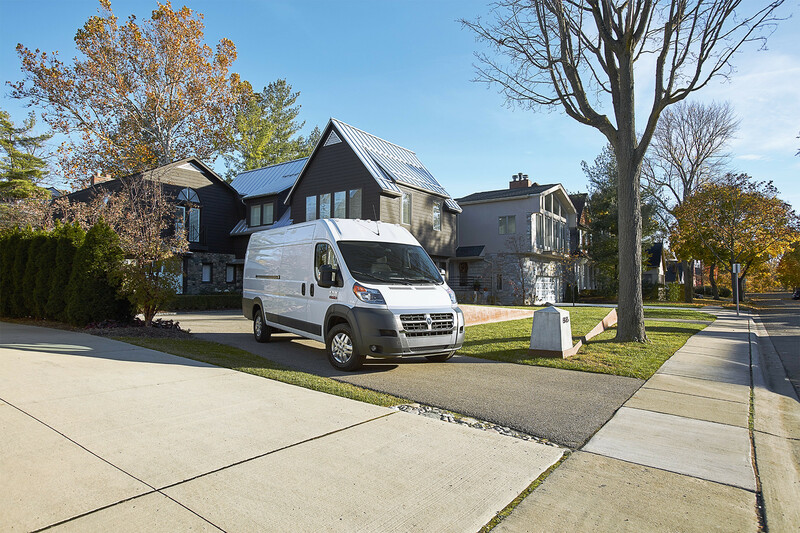 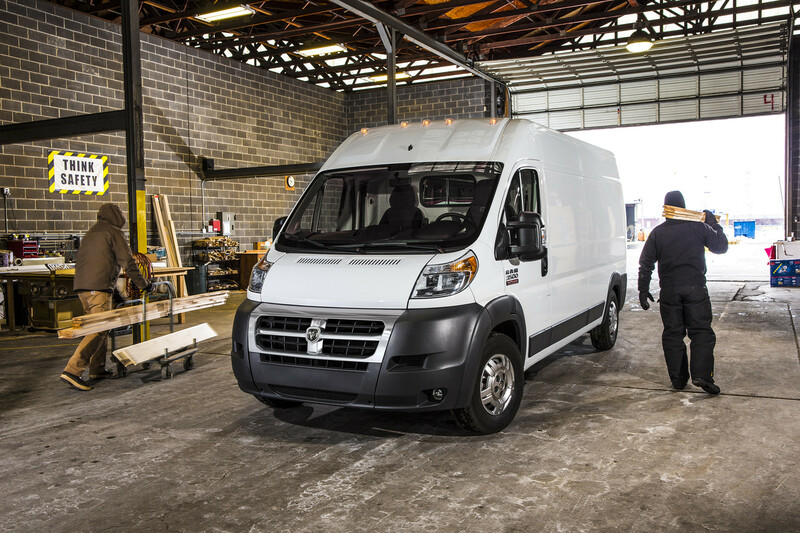 The ProMaster's front-wheel-drive configuration offers Best-in-Class turning radius as short as 11.1 m (36.3 ft) Based on WardsAuto Large Van segmentation.